Happy Art Award today -- Bob Burridge. so I did. Thank you Bob. 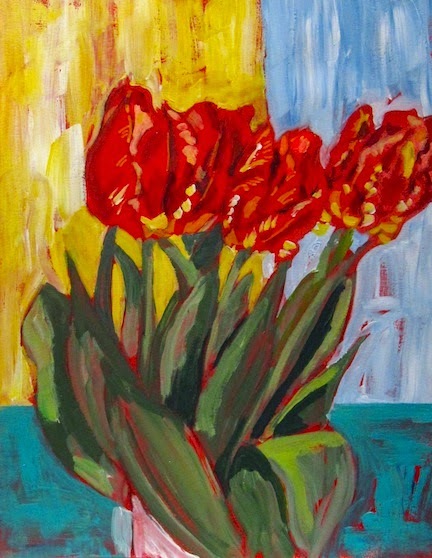 Here are my tulips created thinking of him. Labels: Tulip light. Acrylic on watercolor paper. Spring. bright colors. Barbara Muir © 2015.